Pineberries are hybrid strawberries with distinctive white or pink color and pineapple like fragrance and aroma - they are not genetically modified berries as some people claim. Pineberries are rarely available commercially due to relatively low yield and smallish fruits and when they can be found, they are pricey. Reason more for planting pineberries in your home garden. 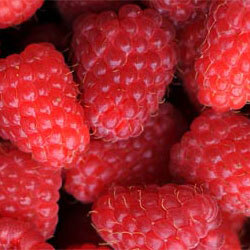 The easiest way to obtain pineberries is to order pineberry plants from certified growers. Bareroot plants can be found relatively cheap, while potted young pineberries are ready to fruit rather quickly. For short - if you wish to give them a try, go for certified pineberry plants. There are several pineberry varieties that are available for home growers: ‘White Pine', ‘White D', ‘White Carolina' and ‘Natural Albino'. All of these cultivars yield more fruits when they are grown with other strawberries nearby (cross-pollination). White Pine - this pineberry is very vigorous plant and often grows many runners, which can be used for increasing the number of pineberry plants. However, more runners means smaller yield. White D - it has great taste and slightly larger fruits than other pineberries (but still smaller than regular strawberries). Also, this cultivar often has everbearing properties (like often smaller Alpine strawberries), making them great choice for home gardens. White Carolina - great tasting pineberry, but susceptible to diseases, requiring organic fungicides to be almost regularly applied. In some instances, even chemical fungicides must be used. Natural Albino - this is also great tasting pineberry, but the berries are relativelly small. In order to be grown successfully, it requires normal strawberry for cross-pollination, and the most common variety used is Sonata in 4:1 ratio. Like other strawberries, pineberries have shallow root system. They prefer slightly acidic soil with pH between 5.5 and 6.5, preferably around 6.0 - 6.2 with good drainage. Pineberries can be grown in soils where previous crops have not included berries, eggplants, potatoes, tomatoes, peppers and similar. The soil after these crops can harbor pathogens like Phytophthora and Verticillium, which may affect the new plants. However, if possible, grow them in raised beds and larger containers. Soil should be rich in organic matter, macro- and micro-nutrients, should be kept moist, but also well aerated - strawberries (and thus pineberries) don't like 'wet feet' and lack of drainage can cause many issues. Fertilization: since pineberries tend to have everbearing properties, add liquid fertilizer rich in potassium, phosphorous and micro-elements ever 2-4 weeks. Nitrogen should be kept in moderation - plenty of nitrogen leads to larger, but weaker plants. As crop season ends, decrease the amount of fertilizers - this will harden the plants and prepare them for winter. Watering: keep the soil moist, but not wet. During warmer days, especially hot summer days dripping system can help the plants grow healthy fruits. If the moisture levels fluctuate significantly, plants may suffer and the fruits may grow unevenly. Mulching: mulching should prevent pineberry fruits from touching the soil, which can make them start to rot. Also, good mulch prevent moisture loss and as it slowly decomposes, it feeds the plants and keeps the soil slightly acidic. During the winter, mulch protects the pineberry roots and crown from frost - depending on your location and available cultivars, it is perhaps the best option to keep the pineberries indoors during the winter. Planting: pineberries can be planted directly in soil in rows. 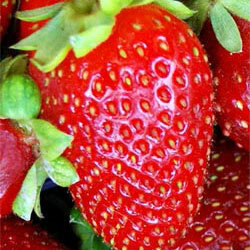 Each row should include pineberries and ordinary strawberries in 4:1 ratio for improved cross-pollination. Start the row with 2 pineberry plants, followed by the strawberry plant, followed by 4 pineberry plants and continue with 4:1 plants until the end of the row, preferably ending the row with 2 pineberries. Distance between the plants in the row should be ~1 feet with some ~3 feet between the rows. 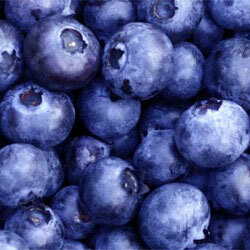 Some home gardeners prefer to plant berries in three rows with 1 feet between plants and 1 feet between the rows. That is also a good option, just be sure to regularly weed the soil patch, add mulch and fertilizer and to keep the soil moist. When planting pineberries in raised beds, hanging baskets or vertical containers, be sure to plant the pineberries and strawberries in 4:1 ratio, and to give the plants enough space to grow. Again, since pineberries have such specific taste, they should be grown in home gardens. But, since they have low crop yield, there is no need to plant them in large numbers - just few of them is enough to enjoy in their aroma and fragrance (similar to Alpine and some wild strawberries). As soon as the pineberries are fully ripe, they should be hand picked. 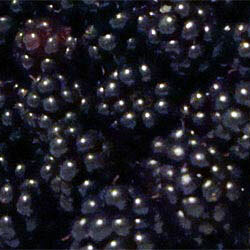 Harvesting ripe pineberries can increase the yield of the harvest. Also, when harvesting the ripe berries, be sure to check the plants for diseases and pests, prune and remove old and yellow leaves, add mulch etc. Personally, pineberries should be consumed fresh, alone or with other berries and fruits from home garden. Best time for picking pineberries is early in the morning. 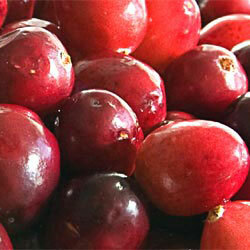 Since they are strawberries, they can be prepared as part of various pies, jams, juices and similar. If you already grow strawberries in your home garden, give pineberries a try, you will not be disappointed.